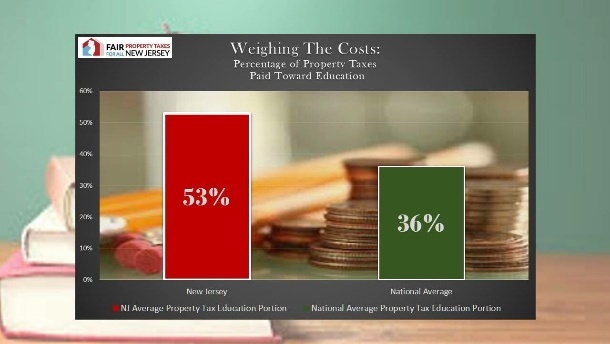 As New Jersey students return to school, it is paramount that we continue the conversation on two of the biggest issues facing our State: the costs of education and property taxes. The two go hand-in-hand, and neglecting to speak openly about schooling costs is disingenuous to the countless New Jerseyans struggling in the wake of a continual fiscal crisis in our State. The recent adjustments to the School Funding Reform Act (SFRA) are part of an effort to restructure a funding system that was flawed from its inception in 2008. It stems from the decades-old cases of Robinson v. Cahill and, the more widely known, Abbott v. Burke(s) wherein the New Jersey Supreme Court affirmed the plaintiffs’ assertions that the State has a constitutional obligation to ensure “thorough and efficient” levels of education. Nationally, education accounts for a 36% share of property tax bills on average. However, in New Jersey, we see a growing average of 53% with many areas far exceeding that percentage. SFRA was one incarnation in a long list of endeavors to comply with the aforementioned court mandates by supplementing school districts with additional financial assistance from the State in areas which did not have adequate tax bases and sufficient property tax revenues. Why? The thought process follows that since these areas were unable to draw from sufficient local revenue streams, state government is legally obligated to step-in to lessen educational gaps through increased funding. Property taxes are a local tax and do not fund the state government; yet as you can see the State’s actions play a significant role in how much we pay. 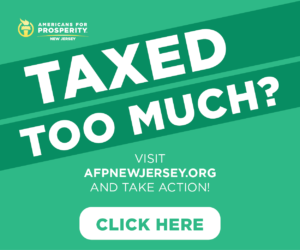 Under SFRA, school districts receive a portion of their budgets from Trenton in the form of “state aid.” This aid supplements school budgets to provide similar financial means to comply with the “thorough and efficient” mandate. Since the aid is only a portion of these budgets, the remainder is derived from our property taxes. The point being: the less aid a district receives, the higher the school property tax levy grows. If a district is allotted more aid then, in theory, there should be less of a demand on your taxes. However, there is an inherent flaw in the SFRA funding formula – school districts are not required to lessen their levies if/when they receive more aid from the State. Several previously-underfunded districts dedicated a portion of their respective newly-increased funding back to their residents to grant some property tax relief. Areas such as Lodi, Elmwood Park, Little Ferry, and a number of others should be commended for doing so and for recognizing the sacrifices made by their residents. However, there are many areas where the same consideration was not reciprocated and that relief never materialized – there exists no requirement or incentive for individual boards of education to do so. It is important to mention that some school districts have invested those funds into paying down incurred debt, safety measures, and building maintenance – yet the idea of overall tax relief for residents remains just that, an idea. 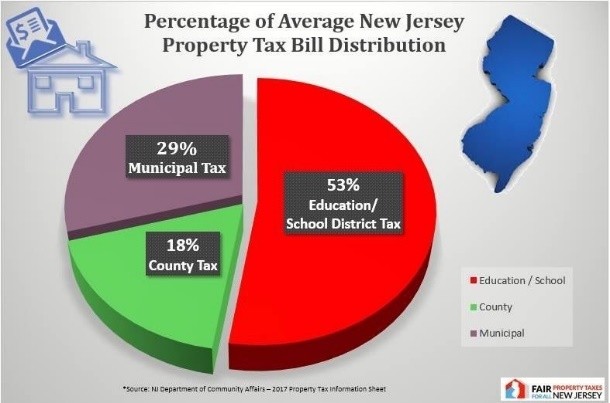 In the coming years, it will be interesting to see if boards of education that have seen increased state aid will reduce future or, at the very least, maintain flat property tax rates in their municipalities. If the past has any bearing, the possibility of that occurring is unlikely. 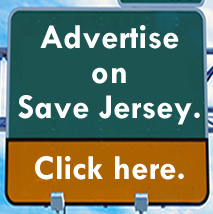 For the districts that have lost funds like Toms River, Brick Township, Belmar, Elsinboro, and Commercial Township (etc.) the future is even dimmer. They will not only need to increase property taxes, but may be mandated by to go well above the 2% cap put in place by Trenton. So, how can we achieve real property tax relief? 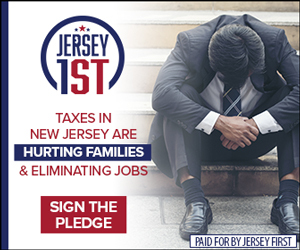 There needs to be a coordinated effort by the Legislature, local elected officials, and the general public to push New Jersey forward, though it may be a painful process. By engaging all interested parties in restructuring our collective future, we can move from today’s inefficiencies toward proposals which not only build a strong educational foundation, but ensure consideration for taxpayers. If school district consolidation/regionalization is shown to be not only feasible, but fiscally appropriate in certain districts, then it should be put on the table for serious consideration. A middle-ground can be attained which is financially beneficial for taxpayers and redirects focus back onto the needs of our students. We, as residents of New Jersey, are truly unable to afford (both figuratively and literally) to waste any more time with the status quo. Sarah Neibart is a member of the Mendham Township Committee and President of Citizens for Accountable Taxation: http://www.fairpropertytaxesforallnewjersey.com/. Next Next post: POLL: Would Trump or Booker win a head-to-head 2020 race?